RMD, Timi Dakolo and IK Osakioduwa cover February 2016 issue of Genevieve Magazine. They looked good as they posed in white. 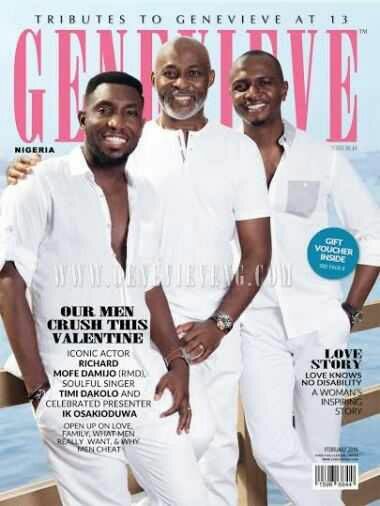 Based on this cover, who would you love to go on a date with ladies?